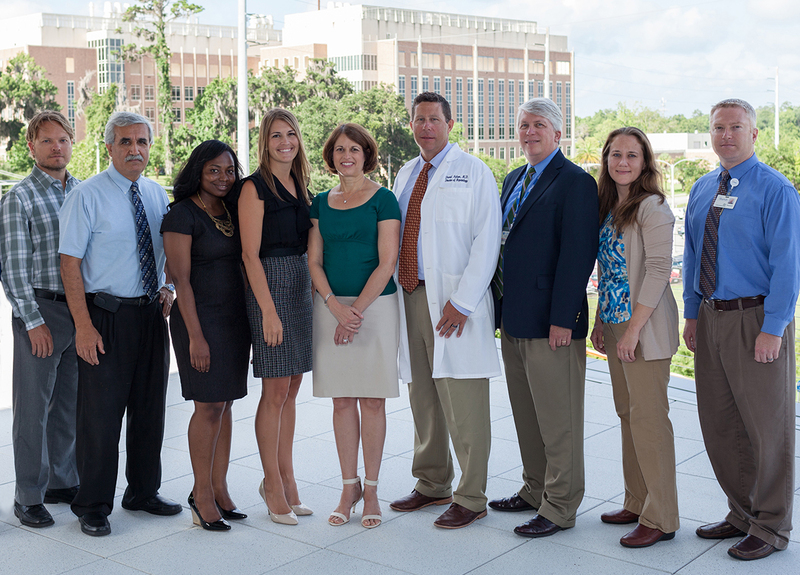 The UF Health Precision Medicine Program is led by faculty in the UF College of Pharmacy and is part of the UF Clinical and Translational Science Institute. Our program’s large and multidisciplinary team provides the complementary clinical, informatics, laboratory medicine and administrative expertise required to implement genomic medicine. Reginald F. Frye, Pharm.D., Ph.D.
Epic Lead: Ben Staley, Pharm.D. Genetic Computation: Alberto Riva, Ph.D., Taimour Langaee, MSPH, Ph.D.
Research Coordinator: Rachel Tay, B.S.